Where do you turn when you need advice on what car to buy or what vacation getaway to book? Probably your friends, family and work colleagues. Why? Because you know they have tried different options and you value their advice on what is best...and what to avoid. So why don’t you take advantage of peer advice in your business decisions? I understand your resistance. 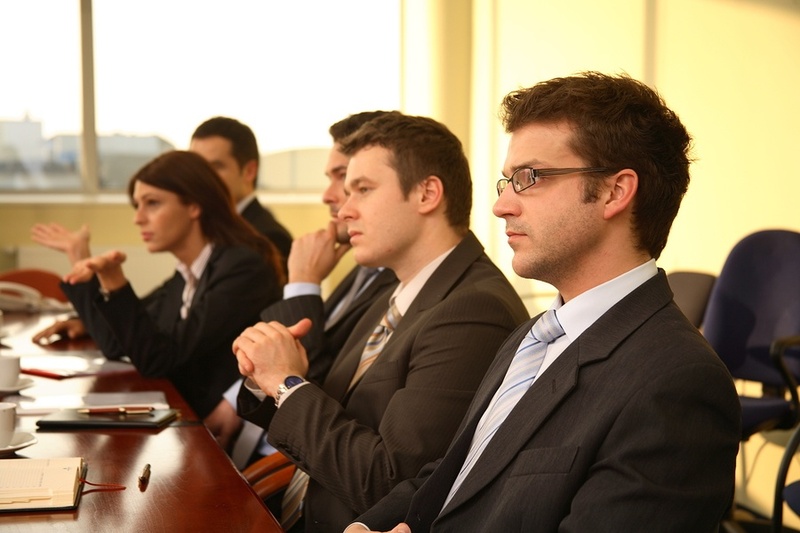 There are a lot of misconceptions out there about peer advisory boards, so let’s dispel a few! #1. Peer advisory boards are for struggling businesses. Sure, your peer board can—and will—help with issues and struggles your business may be experiencing. Far more importantly; however, is that peer boards are looking for members who are experienced with running successful businesses and want to share that experience with others. Large corporations have a Board of Directors. Do you think they only meet when the company is doing poorly? No! They meet on a regular bases to plan and advise on the strategic direction of a company. Peer advisory boards bring this strategic thinking to typically smaller, privately-owned businesses. Any business owner who sees the great potential in their business and is seeking collective wisdom to help get them there is a great fit for a peer board. #2. I‘ve seen it all. I don’t need to be told how to run my business. I hear it time and time again from our peer board members, You don’t know what you don’t know. Personally, I think that pretty much sums it up, but let’s explore further. Maybe you really have seen it all, but it’s the outside perspectives and new ideas you get from your peer board that are going to make you see your business in an fresh way. Furthermore, business ownership can feel a bit lonely. Your peer advisory board is the sounding board for which you can truly open up and discuss your business objectively. You can expect to receive honest, unbiased feedback in a confidential setting that you just won’t find anywhere else. #3. Peer boards are basically networking groups and everyone will be trying to sell me something. I’m a little offended by this misconception, so let’s nip this one in the bud right here and now! Business leaders join peer advisory boards because they want to lead their businesses more strategically. Peer board members develop honest, meaningful relationships over time, becoming a trusted group of advisors with intimate knowledge of each other’s businesses. Your fellow board members truly care about helping your business grow and have the knowledge and experience to get you there. You are just not going to find this anywhere else. Period. #4. My business is unique. Someone in a different industry can’t help me. 75% of all businesses face the same challenges regardless of their industry. What kind of things do you deal with in your business? Financing? Hiring and retaining qualified employees? Increasing sales and/or marketing effectiveness? Well, guess what: ME TOO! Along with just about every other business in creation. Your fellow peer board members have been there before and can help answer questions, so go tap into that knowledge and get on with growing your business! I could really sit here and talk about peer advisory boards all day, but I want to know what you think. Where are you getting guidance on growing your business and why do you think that is better than a peer board? If you already participate in a peer board, what value are you gaining from your board?